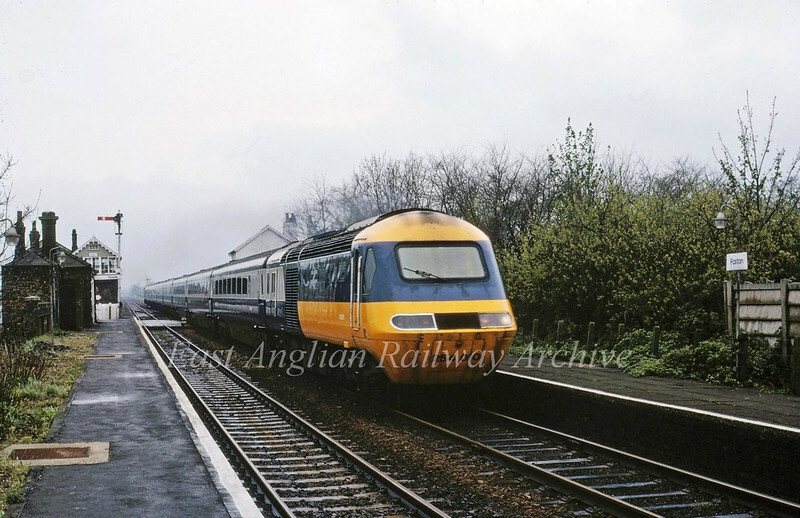 A Sunday East Coast Main Line Diversion between Hitchin and Peterborough via Cambridge and Ely sees an HST set pass Foxton. The working is the 1000 Kings Cross to Edinburgh. 26th April 1981.